Yes, that headline does say “shoelace startup.” Hickies was a Kickstarter project created by a team of Argentinian founders, including husband and wife team Mariquel Waingarten and Gaston Frydlewski, which raised $159,167 on the crowdfunding site and allowed the startup to relocate to NYC and enter mass production. Hickies are shoelaces that don’t require untying, keeping shoes snug and secure while allowing them to slip on and off. The campaign closed its funding on June 14, 2012, and since then the company has done a lot more beyond just relocate to New York City. The Kickstarter enthusiasm for the product, which likely would’ve seemed off the wall if pitched to distributors without anything except for a prototype and some vague market research, helped Hickies secure a number of global distribution deals, including with Brookstone, popular airport fixture and general reseller of slightly weird but useful stuff. Brookstone isn’t the only suitor that came calling, however. Hickies has managed to lock down distribution arrangements in Japan, Korea, Canada and Latin America, and plans to expand its operations with a Europe-based subsidiary in September. Frydlewski says that Kickstarter’s very international audience really helped them arrange distribution deals beyond the U.S. market, something that definitely would’ve been difficult without Kickstarter’s unique platform advantages. Kickstarter also continues to help with product development. According to Frydlewski, the community it builds is a lasting one – not just something that’s useful while running the campaign, but an element that pays dividends afterwards, too. Frydlewski and company learned some valuable lessons about how to run a Kickstarter campaign in the process of creating Hickies. He cautions startups using the platform about agreeing to a distribution deal too quickly, as the amount of inbound interest can be overwhelming. Doing due diligence and putting a proper expansion strategy in place beforehand is key for hardware startups, he says. They also found that you should basically be ready to ship before you even start asking people for money. Hickies has managed to ship 500,000 packs of its innovative shoelaces since it closed its Kickstarter funding last year, and the product is available at retail in seven countries across three continents. Kickstarter projects rarely work out as well as they have for this company, so you know they’ve done something right, and probably something worth emulating for others considering going down the same path. 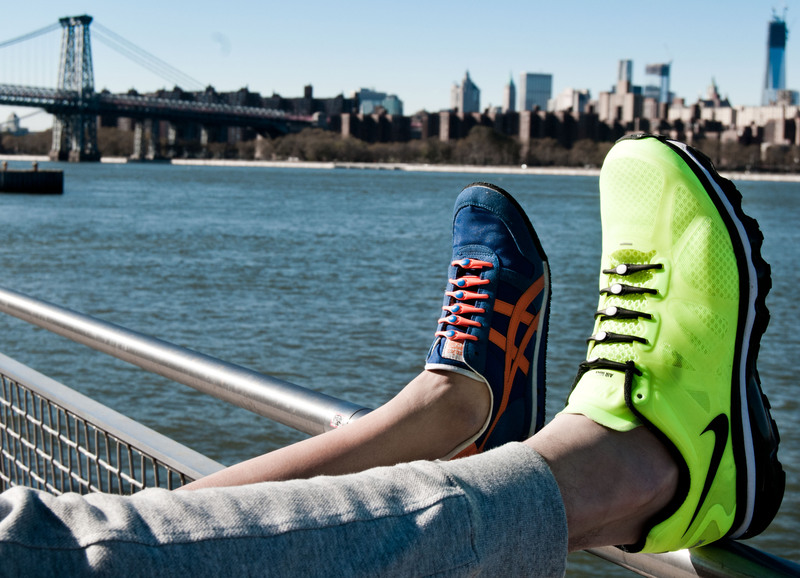 HICKIES Overview from HICKIES – love your kicks on Vimeo.